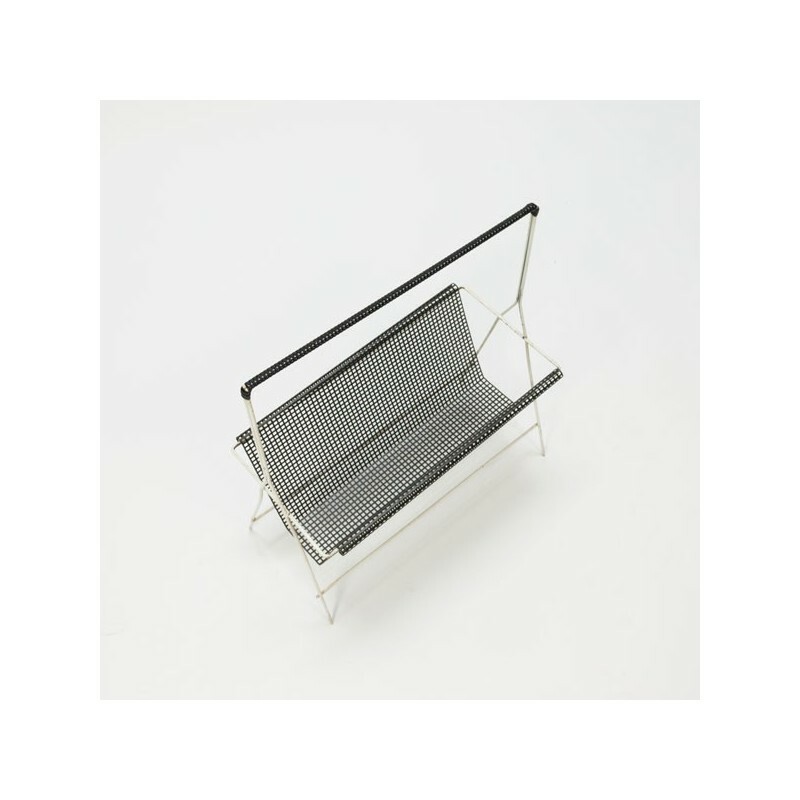 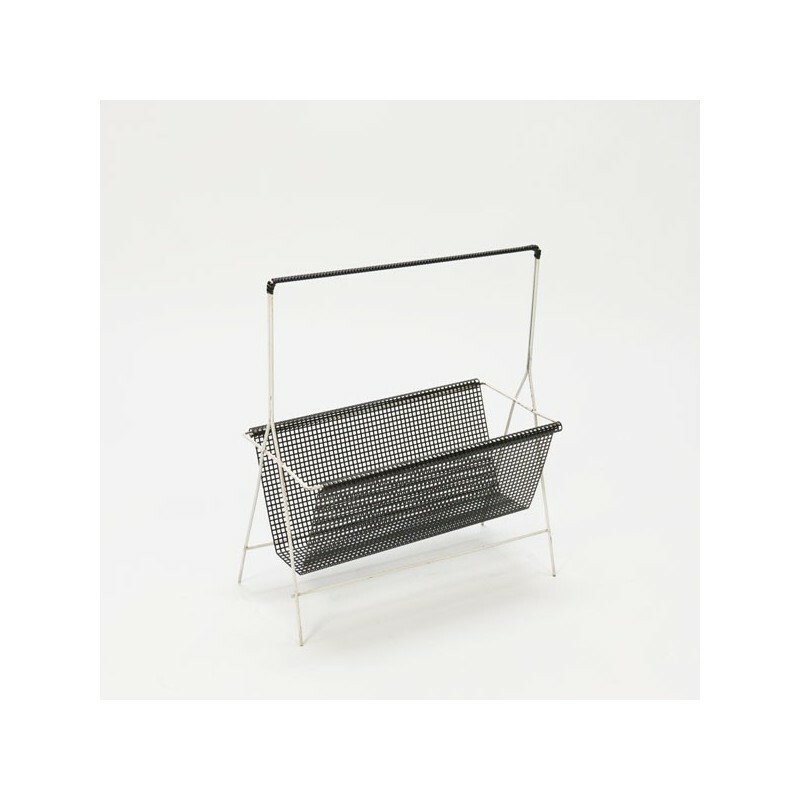 Original magazine rack from the Dutch brand Pilastro. 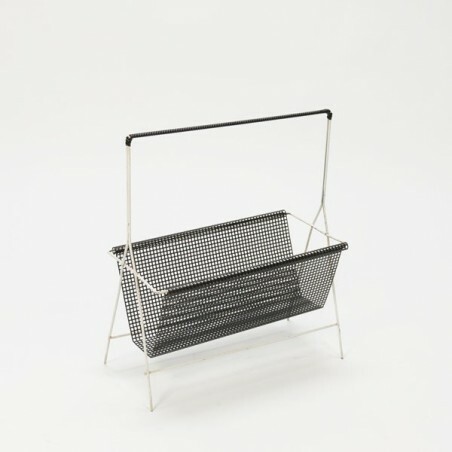 The rack has a nice thin frame and a black perforated basket. 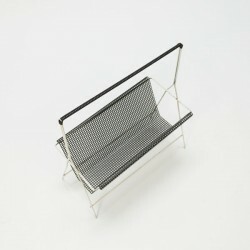 The condition is reasonable given the age, there are visible traces of use (see detailed pictures). The size is 42.5 cm L/ 22,5 cm W/ 49 cm H.